Within Alaska’s hundreds of thousands of square miles lie dramatic mountain peaks, lush wildflower meadows, serene seaside vistas, and of course, a multitude of woolly wildlife. When surrounded by so much natural beauty, it’s almost impossible not to take thousands of pictures. We’ve rummaged through the best Alaska photos we’ve ever seen, and selected our 20 favorites just to share with you. If you haven’t yet planned your summer trip to Alaska, these stunning photographs will have you packing in no time! Image used under Flickr Creative Commons license from jjjj56cp. Glacier Bay National Park is a World Heritage Site and one of the best (and only) ways to catch a glimpse of ice age topography. Tour the park by boat for a truly memorable experience. 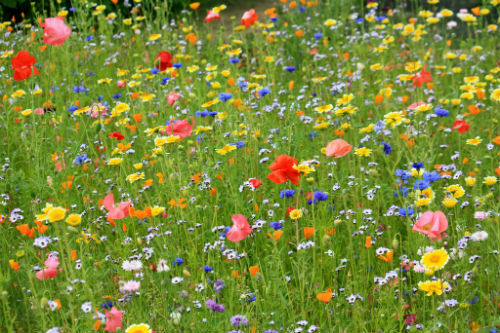 Image used under Flickr Creative Commons license from Rennett Stowe. Views like this make boat tours in Alaska absolutely awesome. 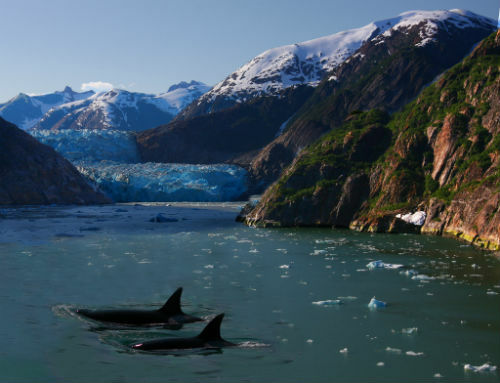 These two orcas take a pause within the calm waters of an Alaskan fjord, providing a truly picturesque scene. Image used under Flickr Creative Commons license from T Wilcox. 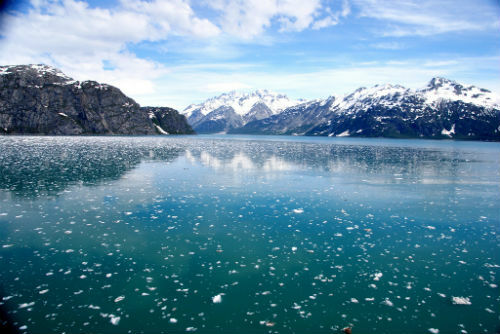 The spectacular Cook Inlet waterway reaches 180 miles from the Gulf of Alaska to the city of Anchorage, lined by mountain views the whole length. Image used under Flickr Creative Commons license from Bering Land Bridge National Preserve. One of the most remote stretches of Alaska’s protected land, the Bering Land Bridge is also one of its most beautiful. 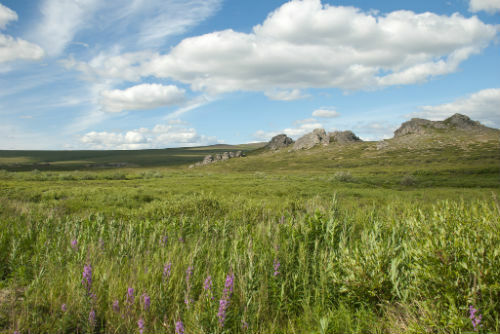 There, you can find tundra dotted with caribou, muskox and extinct lava flows. Image used under Flickr Creative Commons license from Frank Kovalchek. 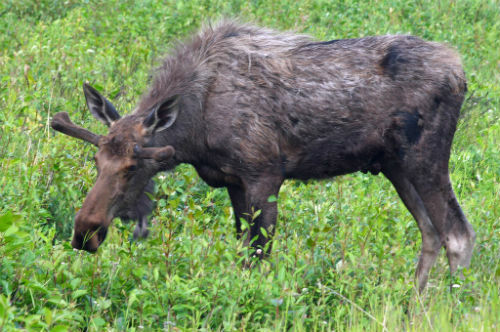 This young bull moose is beginning to gain his glossy summer coat. Image used under Flickr Creative Commons license from slashvee. 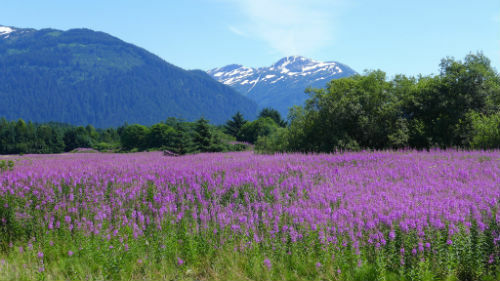 Vivid fireweed isn’t hard to spot during the Alaskan summer season. It gets its name for being one of the first plants to colonize an area after a fire has passed through. Image used under Flickr Creative Commons license from Teddy Llovet. Denali towers 20,320 feet over the horizon. When the clouds lift and it emerges in clear, snowy perfection, it’s hard to tear yourself away. Image used under Flickr Creative Commons license from A FK. A wildflower display in every shade of the rainbow—including orange California poppies and blue asters—graces the Fairbanks area. Image used under Flickr Creative Commons license from Ray Morris. 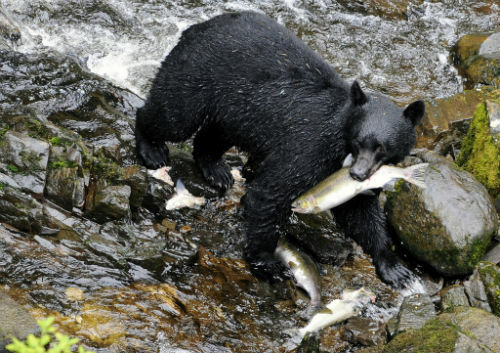 This bear takes advantage of salmon spawning in Margaret Creek in the Tongass National Forest, selecting from a premium mix of steelheads, cohos, sockeyes, and pinks. Image used under Flickr Creative Commons license from Wrangell-St. Elias National Park. 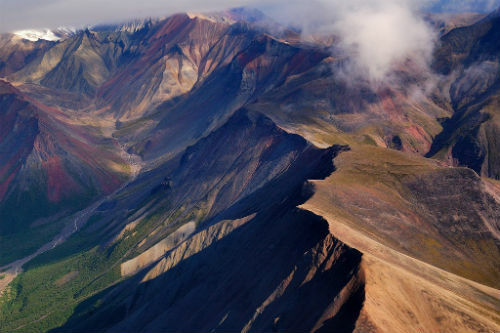 Rugged, spiny Wrangell-St. Elias is the largest national park in the United States and stretches from the mountains to the ocean—it’s packed with glaciers and wildlife and enough breathtaking views to fill your memory card. Image used under Flickr Creative Commons license from U.S. Fish and Wildlife Headquarters. 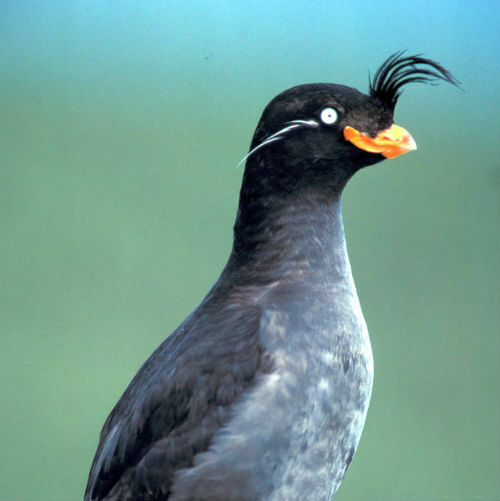 This crested auklet was spotted on Kiska Island. 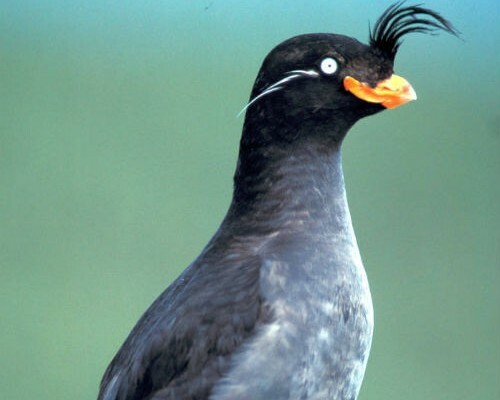 Both male and female auklets sport the same unique head plumage, which they leverage to find a mate. Image used under Flickr Creative Commons license from Paxson Woelber. 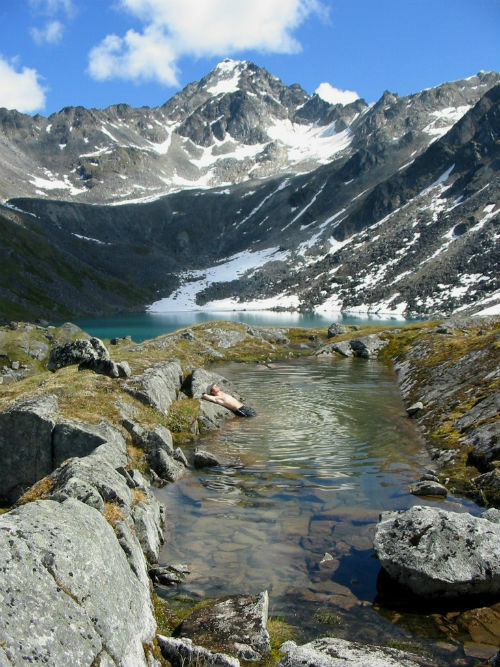 An inviting, naturally-formed hot spring can be found at Upper Reed Lake in the Talkeetna Mountains. 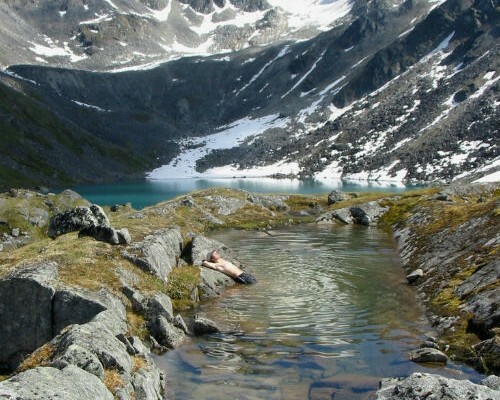 Talk about relaxing with a view! Image used under Flickr Creative Commons license from Gavin Clabaugh. Alaska truly earns its nickname during the summer solstice, boasting 22 hours of daylight on the longest day of the year. 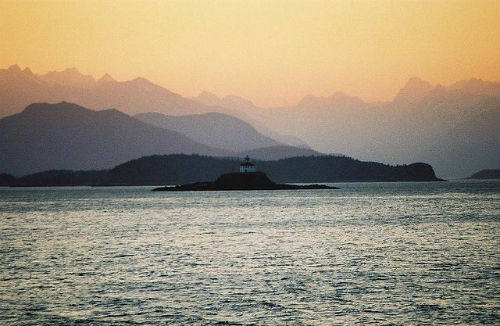 This solstice sunset was captured on a state ferry traveling between Skagway and Sitka. Image used under Flickr Creative Commons license from faungg. 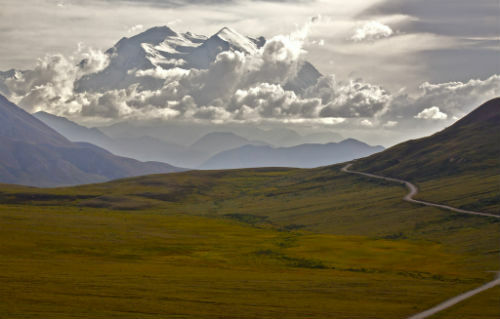 Comprising six million acres and containing only one road, world-famous Denali National Park starts in the taiga and extends to the soaring heights of the Alaska range. Image used under Flickr Creative Commons license from Education Specialist. 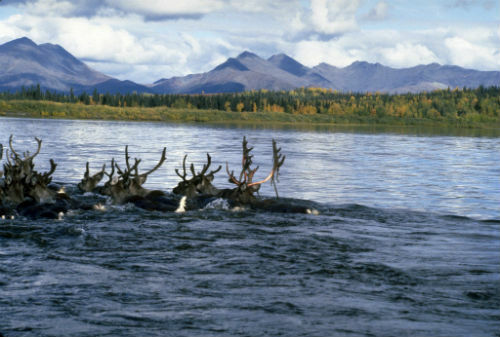 Caribou have adapted to become good swimmers with big hooves for paddling and hollow hair shafts that help to keep their large frames buoyant in the water. Image used under Flickr Creative Commons license from NOAA. 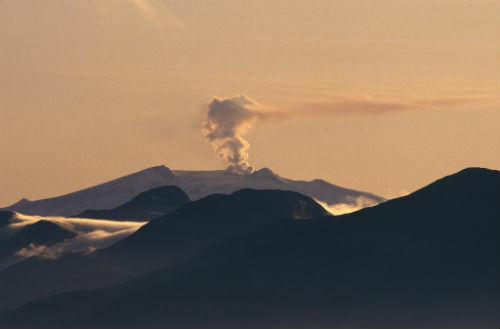 Makushin Volcano smokes on the western side of Unalaska Island within the Aleutian Islands. Where else can you get this close to calving glaciers? 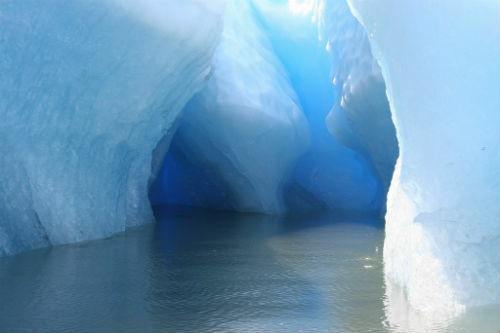 The pictured iceberg broke off from the LeConte Glacier in the southeastern portion of the state. Image used under Flickr Creative Commons license from U.S. Fish and Wildlife Service Headquarters. 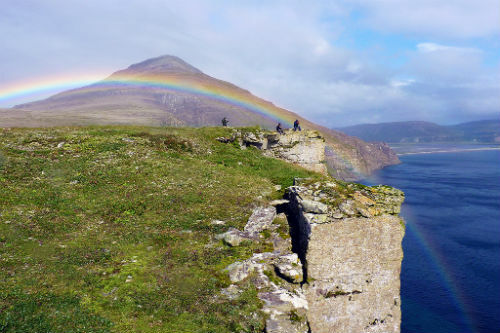 A rainbow arches over the sharp cliffs of Puale Bay in the Becharof National Wildlife Refuge. Each summer, seabirds come here to nest and enjoy the warmer temperatures. Image used under Flickr Creative Commons license from NOAA National Ocean Service. 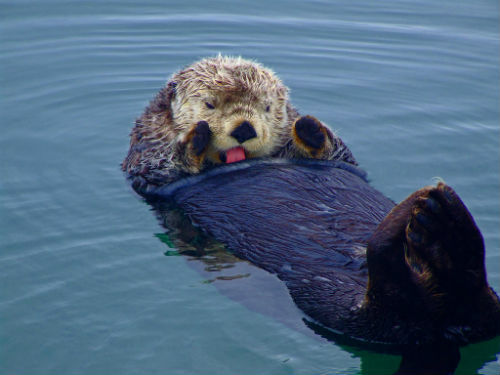 This playful sea otter was observed in the National Estuarine Research Reserve of Kachemak Bay, Alaska. Image used under Flickr Creative Commons license from Frank Kovalcheck. 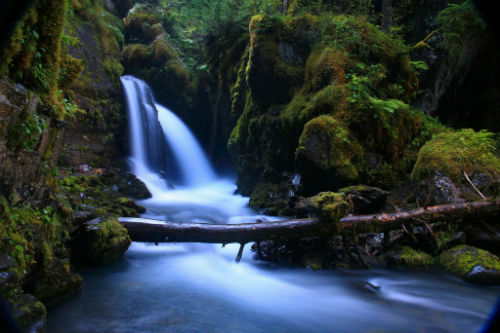 An endless amount of hiking trails and backcountry adventures lead to uncovering gems like the tranquil Virgin Creek Falls near Girdwood, Alaska. Whether you have a passion for flowers, large mammals, mountain scrambles, or solitude on the water, Alaska has it, and more. The magic of another summer season is just kicking off. Come join us. 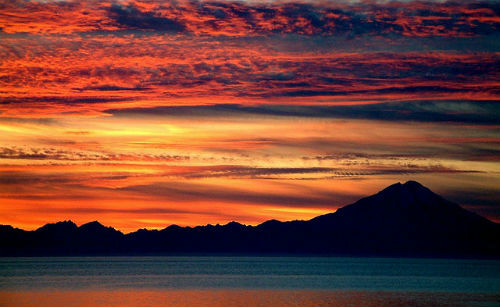 See Alaska’s beauty for yourself! View current Gray Line Alaska specials here.